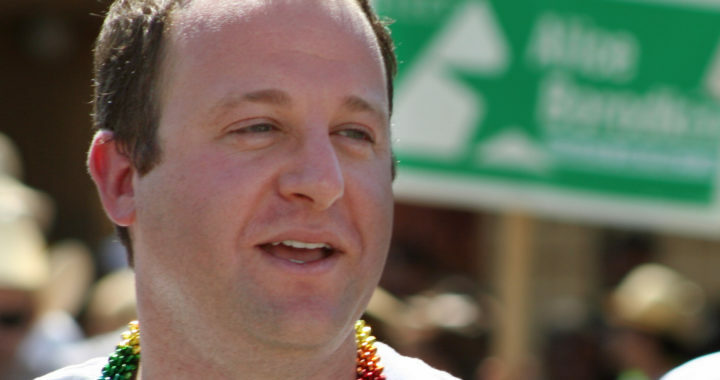 After a spate of new proclamations, newly-elected Colorado Governor Jared Polis is a bright shining star on the left. Now that the plans are public, however, the governor’s personal crusade to squash the state’s thriving oil and gas industry threatens to undo all the governor’s other ambitious (and costly) work. In a State of the State delivered on January 10, buried underneath a slew of potentially infeasible social programs, Governor Polis bragged about the state’s robust economy. One by one, he called out each of the state’s most successful industries: agriculture, aerospace, bioscience, renewable energy, cannabis. Polis even found time to mention the state’s outdoor recreation industry. That’s a whole lot of expensive stuff, punctuated by reductions in taxes for Coloradans. Just weeks after the SotS, Polis and fellow state Democrats took the first steps toward making good on one of the Governor’s most prominent campaign promises: severely restricting and regulating the oil and gas industry. The attack came in the form of Senate Bill 181, a radical piece of legislation with a two-fold purpose. First, SB 181 would drastically restructure the Colorado Oil and Gas Conservation Commission, removing geologists and engineers from decision-making positions and transforming the agency into a regulatory body. Second, the bill would hand regulatory authority to hyperlocal governments run by those who may not have all the information required to make an informed decision. Okay, let’s roll back to Polis’ January 10 speech, wherein the governor touted the value of each of the state’s most prominent industries. Hand in hand with his subsequent assault on oil and gas, there was one glaring omission in his list. No love was paid to Colorado’s thriving energy industry. That’s a mistake because Polis’ plans are going to cost a lot of money. Sure, the state’s marijuana industry pulled in more than $250 billion in tax revenue in 2018. That may cover the governor’s plans for free all-day kindergarten ($185 million), but it won’t touch his healthcare and tax initiatives. Should SB 181 come into play, that revenue stream would be all but extinguished. Governor Polis’ initial actions might be garnering positive media attention, but his big, bold plan may serve as a recipe for disaster. Posted in Oil and Gas Politics and tagged Colorado, Colorado oil and gas, Jared Polis, sb 181, taxes.